High Quality, short, small diameter stearic votive candles for devotional or processional use. Also known as celebration candles. Best used with Plastic Handle/Holders (93622010) or Plastic Shield/Cups (93611010). At 17/32" (just slightly over half an inch) these candles come in three heights: 4-1/2", 5-1/4" or 7". 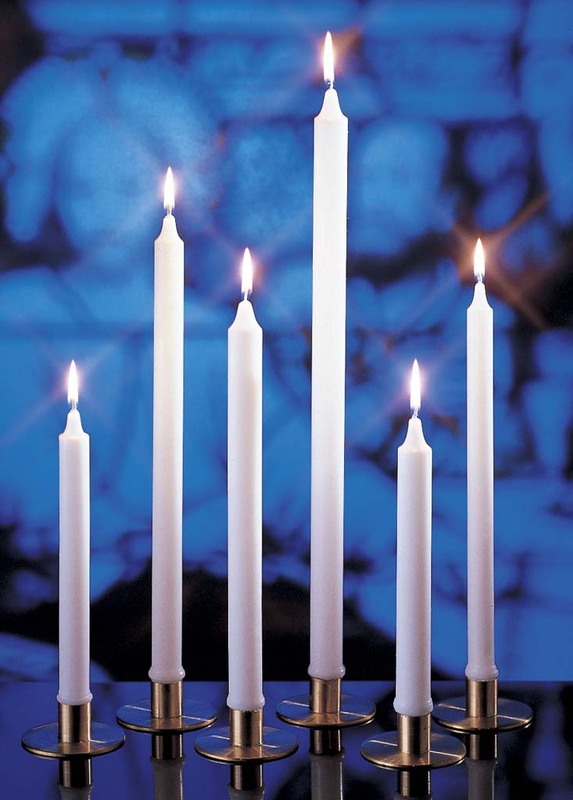 STEARINE BRAND WHITE MOLDED CANDLES KNOWN FOR THEIR BEAUTY AND LONG, CLEAN-BURNING PERFORMANCE, THESE CANDLES ARE IDEAL FOR A VARIETY OF RELIGIOUS OBSERVANCES.